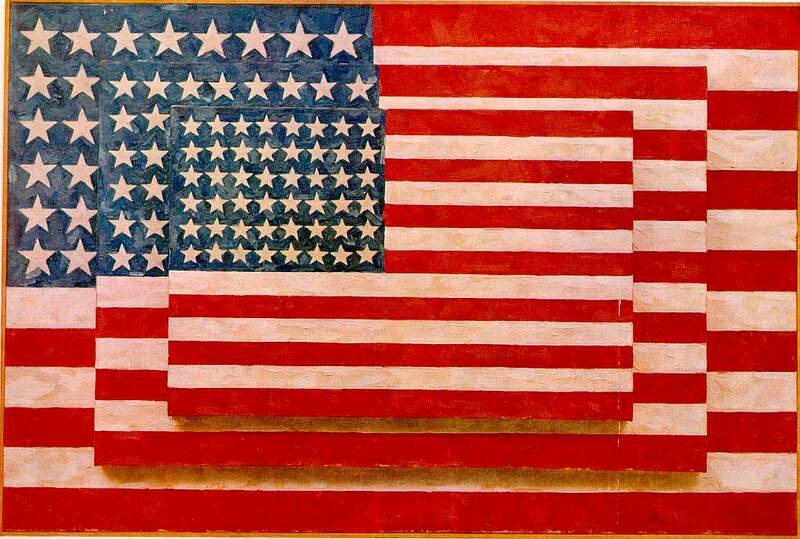 Three Flags (1954-1955) by the American artist Jasper Johns is one of a series of flag paintings by the artist. Johns was making something new: recognizable, but different. And in Johns’ hands, flags — sacred objects to many — are a bit off-putting, intentionally. He paints, in his words, “things the mind already knows” and makes us see them differently. “Trying to take you off your guard a little bit as a viewer — slow down and look in a new way,” Heyler says. 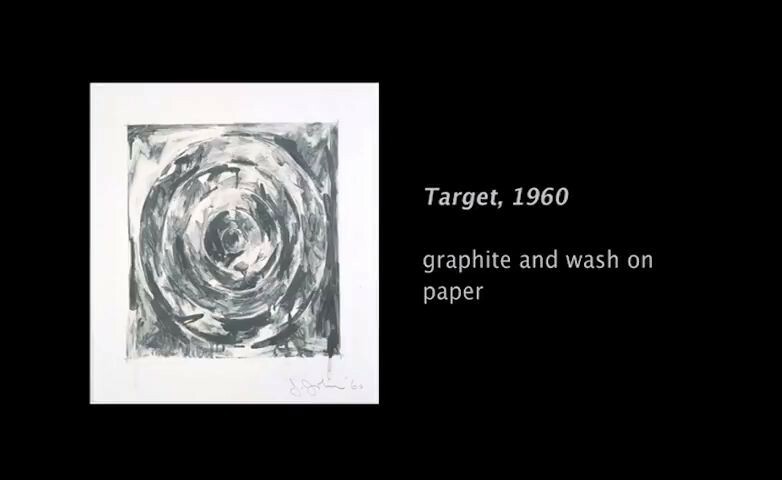 Johns also made a series of target and number paintings during the same period. In this piece the artist painted three separate flags and attached them to each other, creating a three-dimensional object. 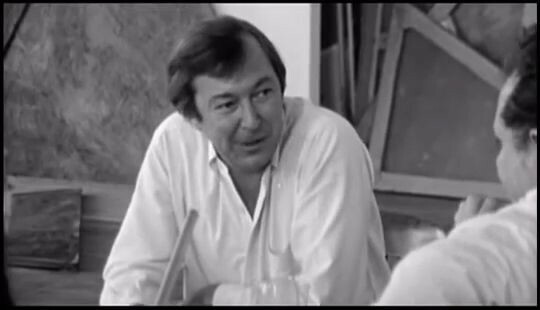 “Do something, do something to that, and then do something to that.” Jasper Johns. While Johns’ painting extended the allover compositional techniques of Abstract Expressionism, his use of these techniques stresses conscious control rather than spontaneity. 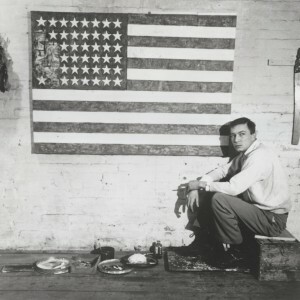 The mature work of Jasper Johns begins in 1955 with his use of the American flag. In the expressionist paint strokes of John’s flags, the vocabulary of geometry reentered American art. And the application of painterly richness of surface to a commonplace American icon signaled the transition from Abstract Expressionism to Pop Art. The single flag – and later the target shape, arabic numerals, and letters of the alphabet – became the ubiquitous subject matter of the first period of Johns’s art. From the beginning, Johns divested the flag of its original symbolic and conventional aesthetic usage. Instead, he transformed it into data for examining perception, visual ambiguity, and the meaning of art itself. What Johns painted was not the wavy, windblown banner of flagpoles and parades, but the flat, rigid flag characteristic of American folk art and craft. This decision had less to do with evoking American folk tradition than with transforming a charged patriotic symbol into a subdued compositional proposition. His single-flag images never suggested spatial depth; they defied the usual pictorial structure of figure against ground. In the culminating work of the first period of John’s art, Three Flags, the subject became its own ground. Each of the tiered flags is is diminished in scale by about twenty-five percent from the one behind, and projects outward, directly contrary to standard pictorial perspective. The interplay of one complete and two partially visible flags serves to emphasize both design and dimension. 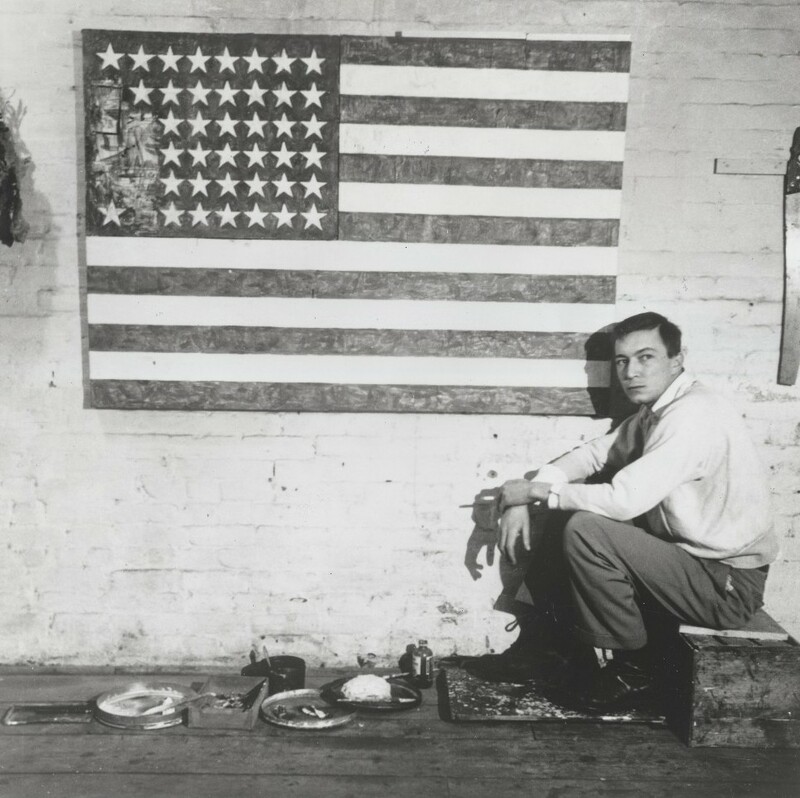 Instead of pictorializing the flag, as he had in earlier paintings, in Three Flags, Johns transformed it into an object.